Naturally delicious rolled wholegrain oat flakes, for a smooth and creamy porridge. 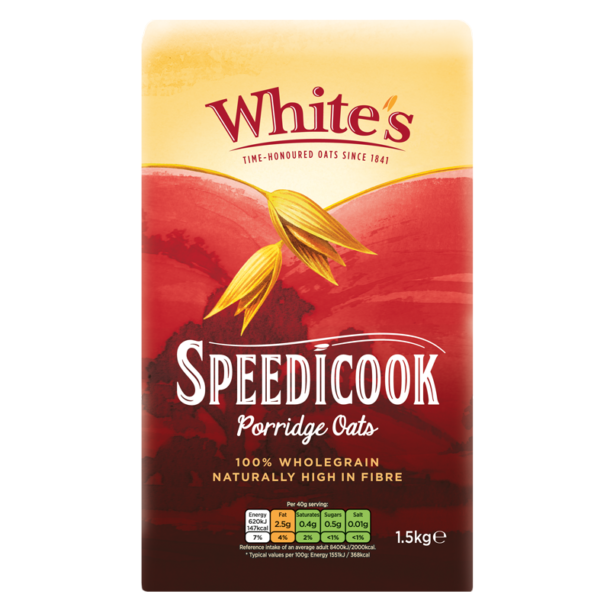 Grown by generations of local farming families, Speedicook Porridge Oats have been at the heart of family life for nearly 100 years. For allergens, including cereals containing gluten, see ingredients in bold. May also contain traces of Wheat and Barley (gluten).